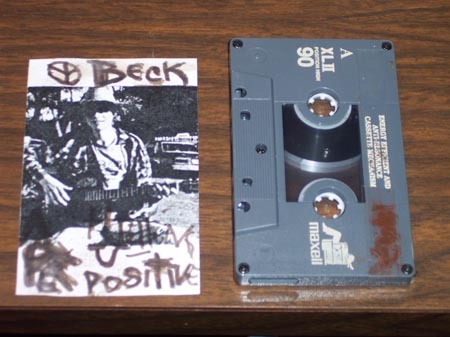 Our good friend Kristofer has recently acquired some previously-unknown Beck demos! Yeah! 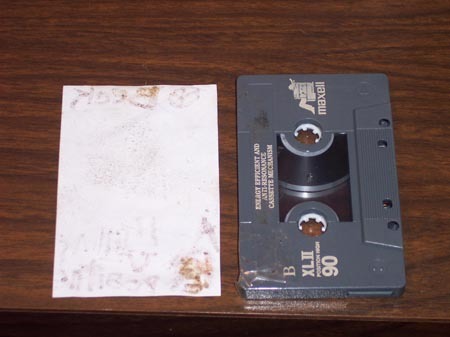 These are four-track tapes that are possibly – and this is Kristofer’s belief – the original tapes Beck recorded onto. They feature a number of songs that we’ve come to associate with the 1992 Demo and Don’t Get Bent Out of Shape, which appear to be compilations of this and other material (kind of like Fresh Meat & Old Slabs). The first tape is labeled Are ??? U Positive. There’s a pic below – can anybody figure out what the mystery word is? Kristofer suggests “feeling”, as in “are you feeling positive”. What do you guys think? 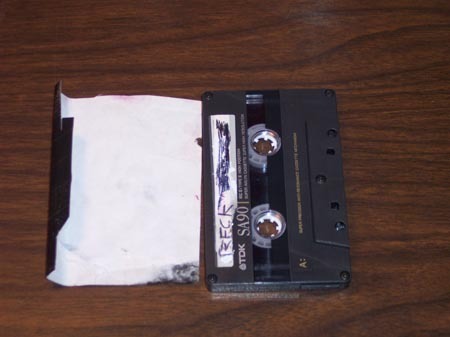 The second tape is labeled R-Marcel or R-Maxcel or B-Marcel or B-Maxcel or something like that. Any suggestions on this one? They seem to be from 1992, though R-Marcel or whatever might be from eariler. Both sleeves feature pictures of a young Beck. Are You Positive‘s sleeve is regular paper, R-Marcel‘s is regular paper covered in tape. It’s unclear at this point whether these songs are the exact same versions that we already have from other tapes. Kristofer will confirm shortly after the holidays. Kristofer will eventually share these on the hub, once he’s able to digitize them. Post your questions, comments and suggestions and we’ll try to get everything answered! So, the other day I played Fresh Meat And Old Slabs for the first time in ages. And I immediately declared it International Fresh Meat And Old Slabs Week.What does that mean? I don’t know. 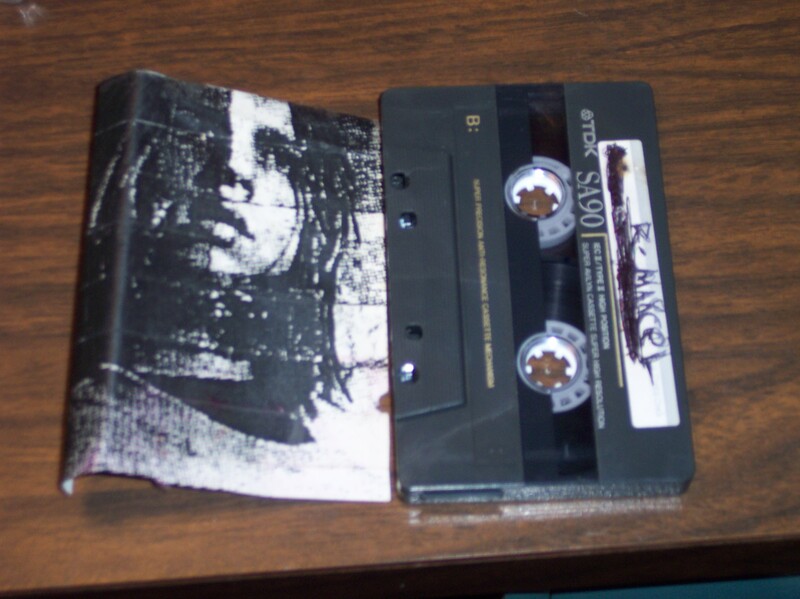 But if you are newer to Beck, it is a good time to download this old gem of a tape. (You can do that at the BeckHub, instructions here–though use this address instead of the one listed: dc://becktabs.homelinux.org:1411 ). These old tapes were what really made me a Beck fan. Back in the day, you could easily get all the CDs, but what joy it was to get on old Beck fansites (Truck’s and Slo-Jam Central and Comat0se’s disco) and read about these tapes and songs. There was a Beck mailing list too that made connecting with people and actually getting a copy of these tapes. This spirit has definitely carried on to Whiskeyclone.net here and the group of us who regular the hub. What great verses!If you do have this tape, give it some play this week. Post your thoughts/rememberances/feelings below. You are currently browsing the archives for the Old Slabs category.